You will receive breakfast and dinner every day in your homestay. Lunch Ticket packages can be purchased on-site at the Veritas Cashier's office. The homestay experience can be the most rewarding part of your time abroad. It is the best way to learn Spanish, gain a unique and personal insight into Costa Rican culture and integrate into the local community. Many students keep in touch with their families after they return to the U.S.
Homestay hosts do not always consist of a traditional family unit with mother, father and children - you may be placed with an older woman whose children have left home for example or a retired couple. All families are carefully chosen and have to meet high standards in order to be a part of the homestay program. Many have worked with Universidad Veritas and hosted international students for a number of years and are very experienced at providing students with what they need. You will live with a local family located close to campus. All homestays are within walking distance of the University. You will have your own bedroom and there may be other international students also living in the homestay. Breakfast and dinner are provided daily by the family and lunch can be purchased inexpensively at the cafeterias on the University campus. All homes have Internet facilities and there is privacy for study. A once a week laundry service by your homestay is included. 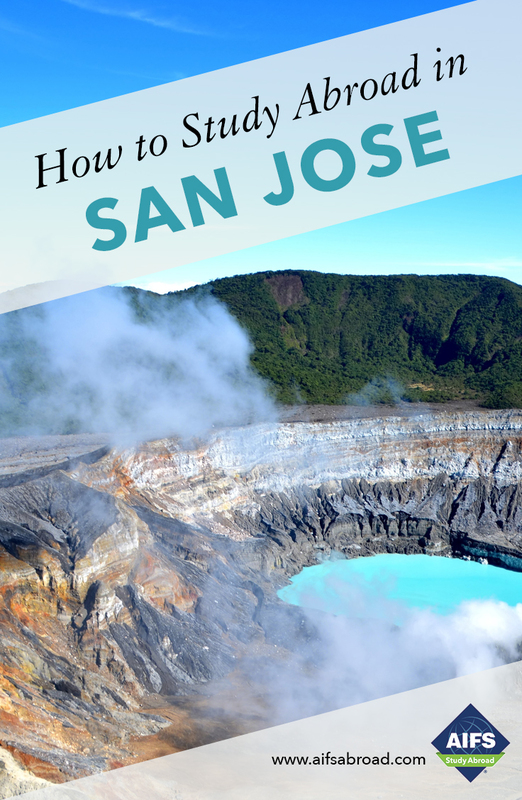 You can give back to the local community by undertaking volunteer work with children and elderly people and on other social projects within San José. Placements are made after arrival in Costa Rica and in discussion with the AIFS Resident Director. For more information speak to the AIFS Admissions Officer. Hola! My name is Karla Carballo and I very much welcome your interest in being part of AIFS and our "pura vida" lifestyle in Costa Rica. As a study abroad student at the age of 16 in France I saw first-hand the value of this experience. International education has become a passion in my life and being part of the students' personal and academic growth is a real honor. For this reason, we pursue excellence! My professional training in psychology has been helpful in enabling me to provide support to international students facing the challenges of living abroad. You can always count on me for support, guidance and of course, ideas to enjoy your adventure in Costa Rica. I look forward to welcoming you to Costa Rica and hope you all have an unforgettable, life-changing experience with us. Bienvenidos!